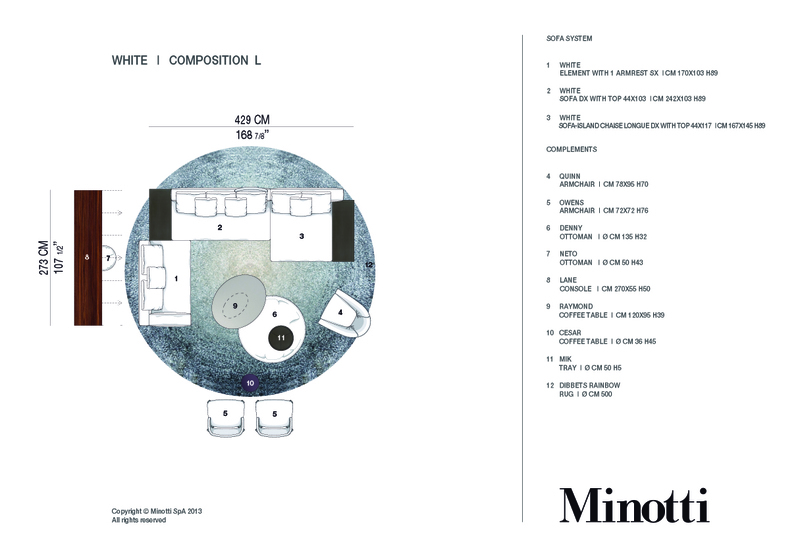 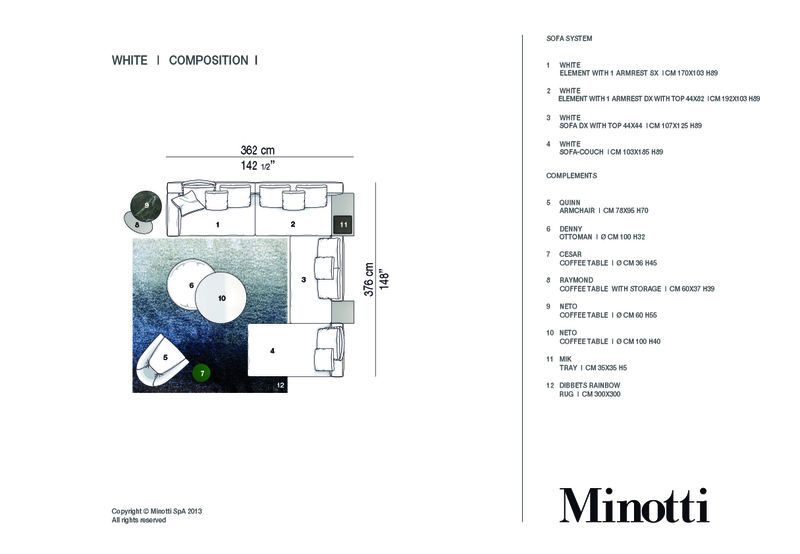 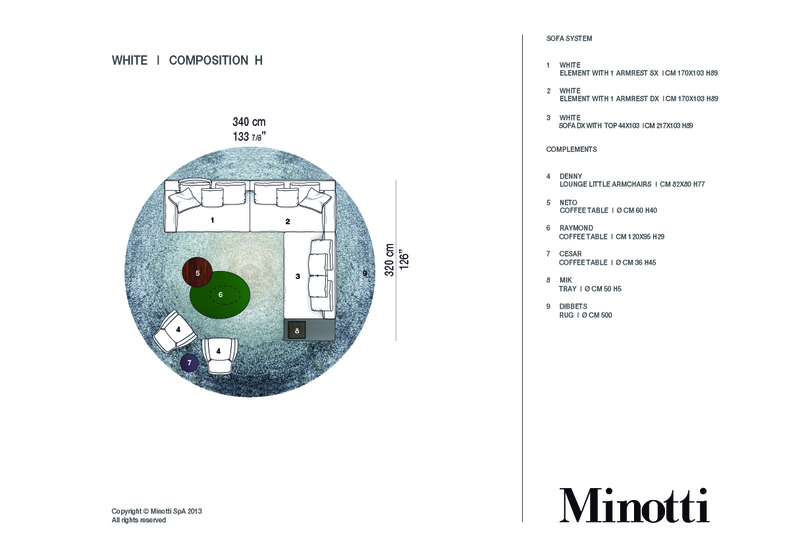 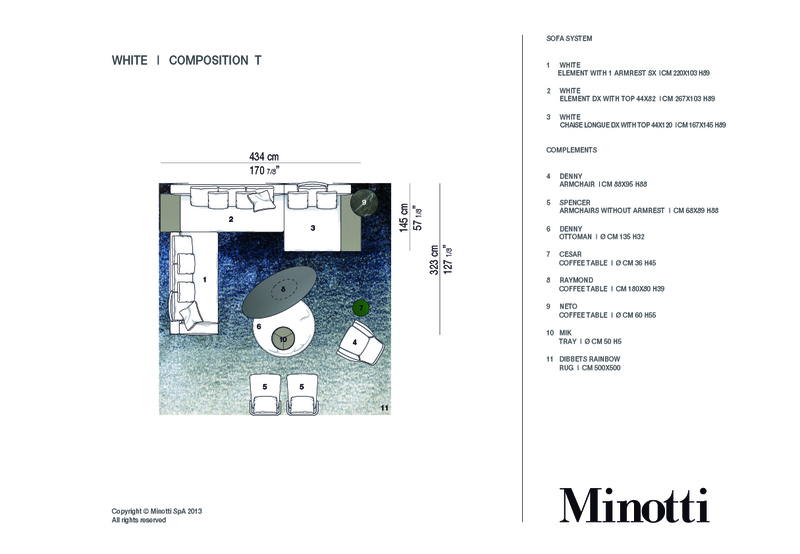 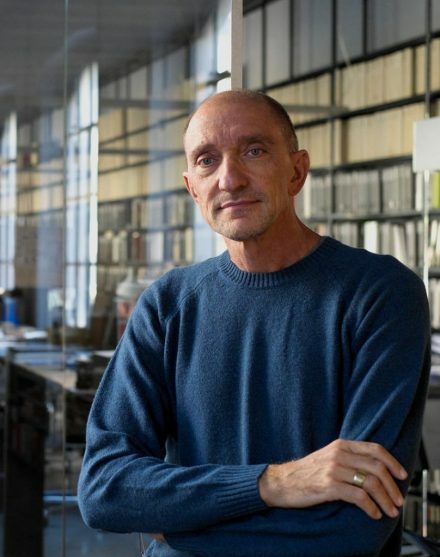 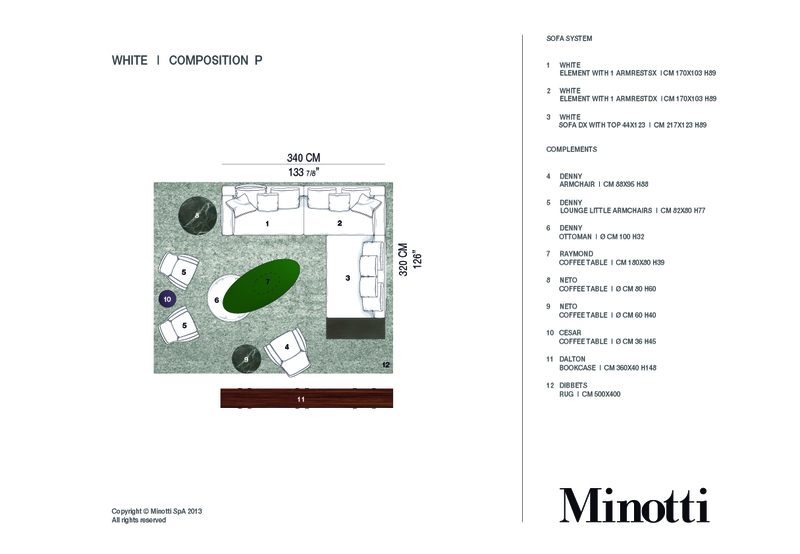 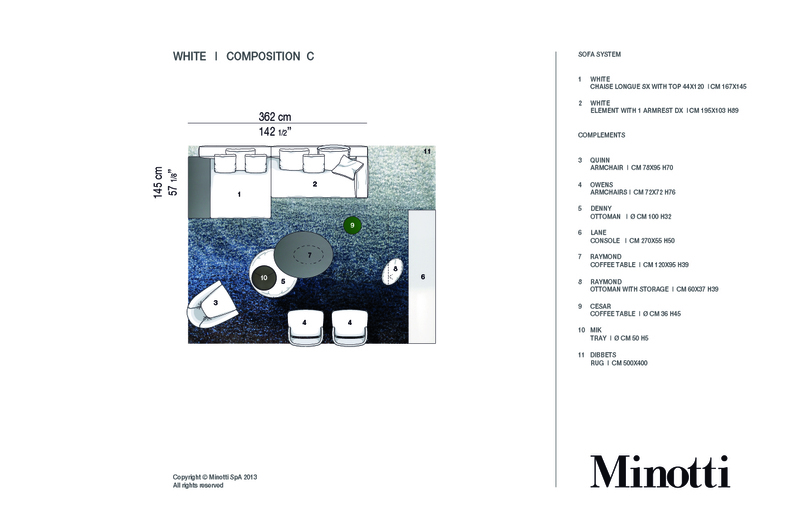 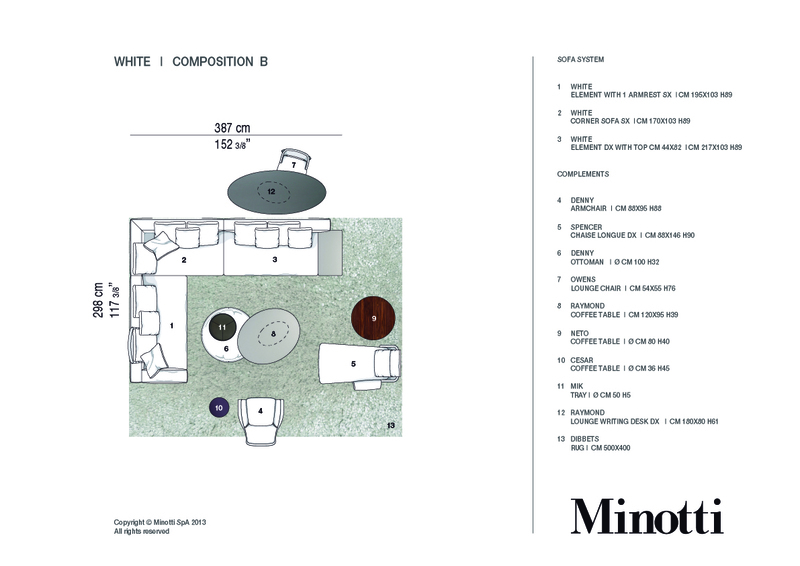 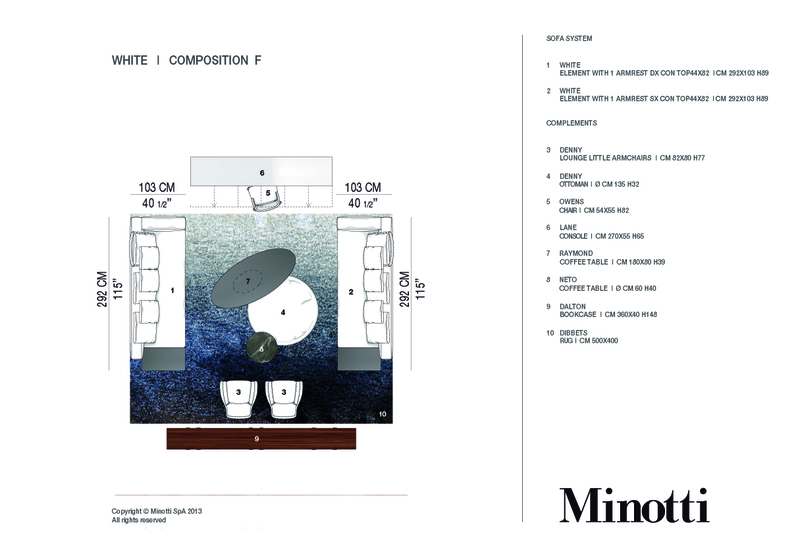 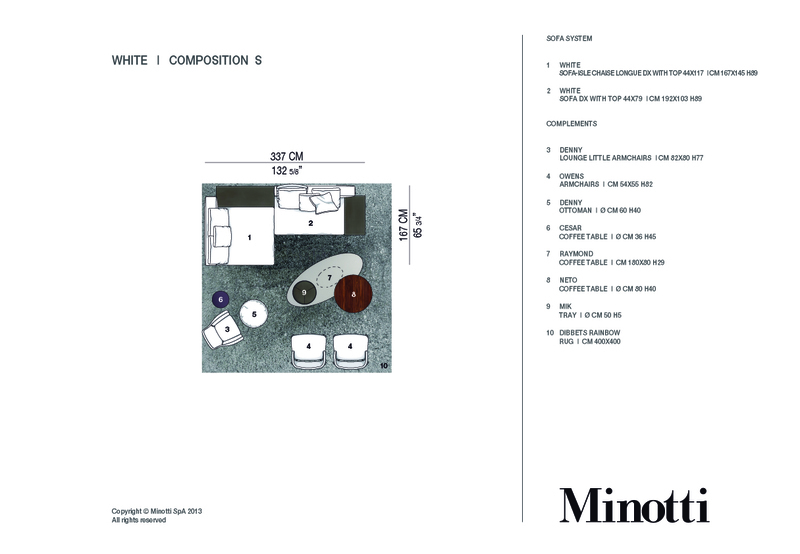 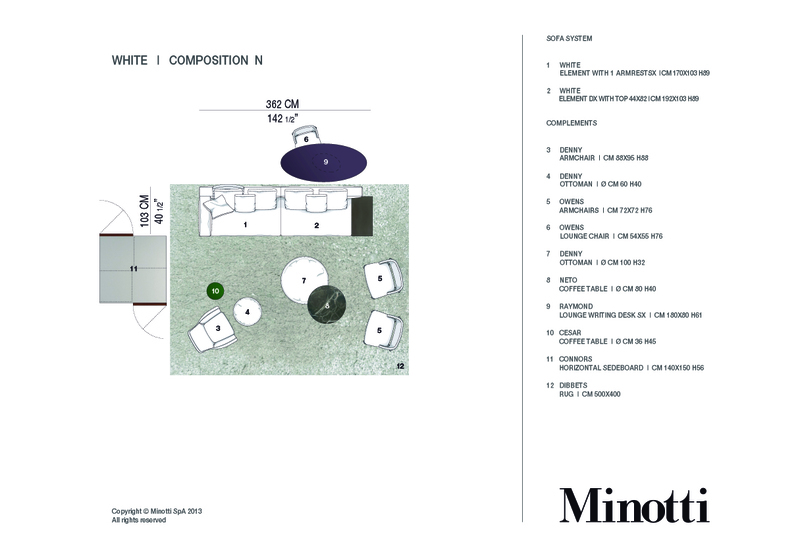 The monographic catalog for the White seating system, designed by Rodolfo Dordoni and presented last April at the Salone del Mobile furniture show in Milan, is already available. 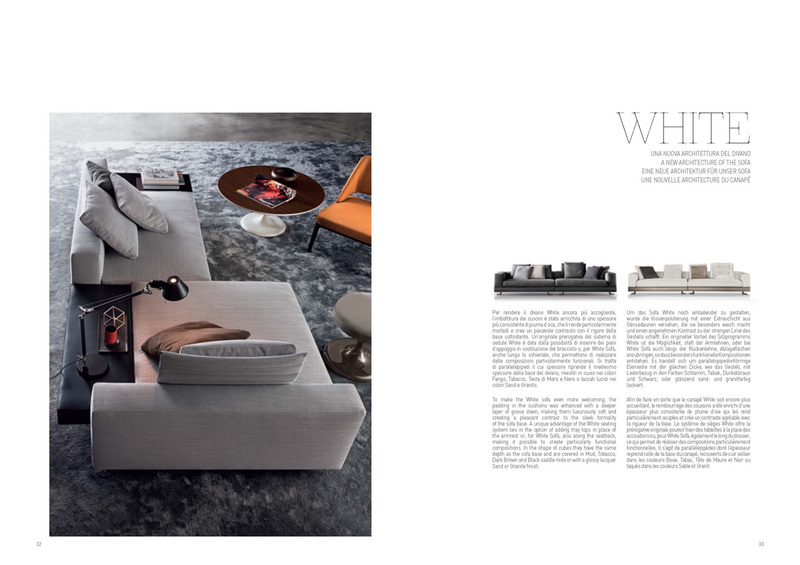 White instantly gained popularity with the public and captured the interest of design professionals because it introduces an innovative and highly architectural concept: the sofa appears to be constructed by overlaying perfectly balanced shapes; the result is aesthetically pleasing elegance, married to an extremely functional purpose. 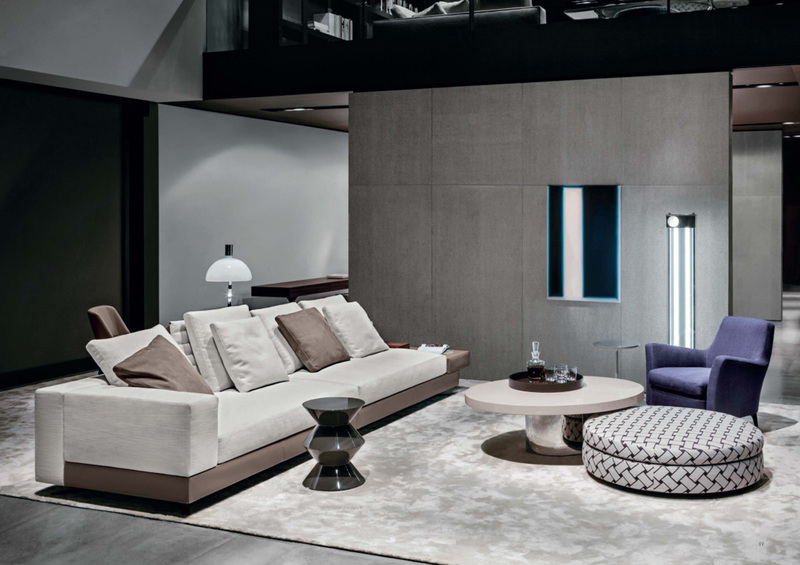 An immense photo gallery that also includes exclusive shots taken at the Salone del Mobile, showcases the sofa in various configurations and offers a series of elegant combinations of the base unit, sofa coverings and tray tops. 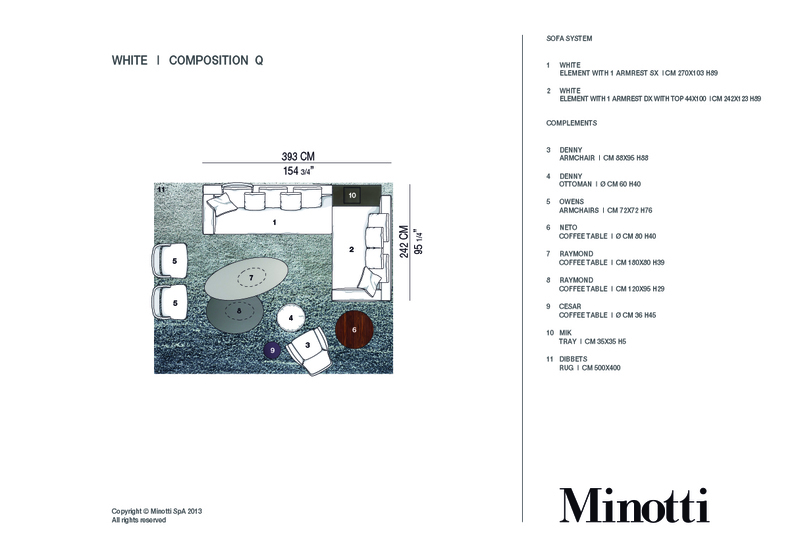 A minutely detailed technical section provides information about the specific features and possibilities this seating system has to offer. 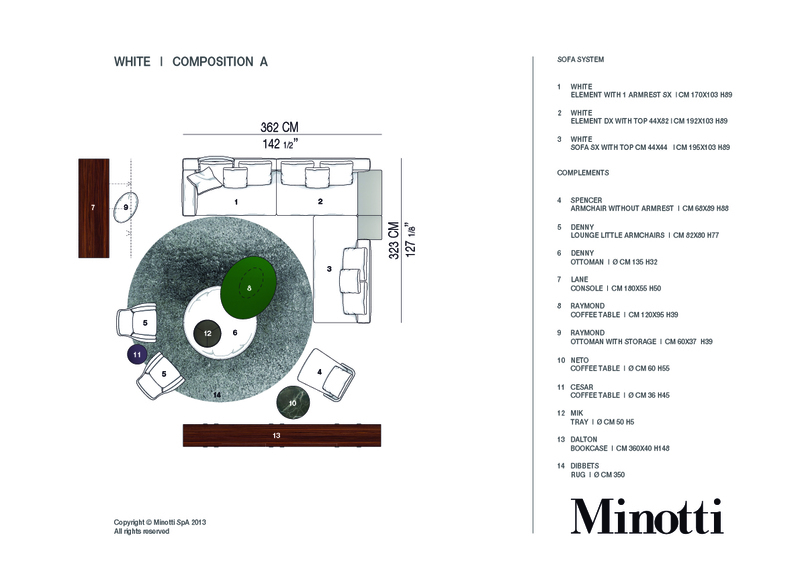 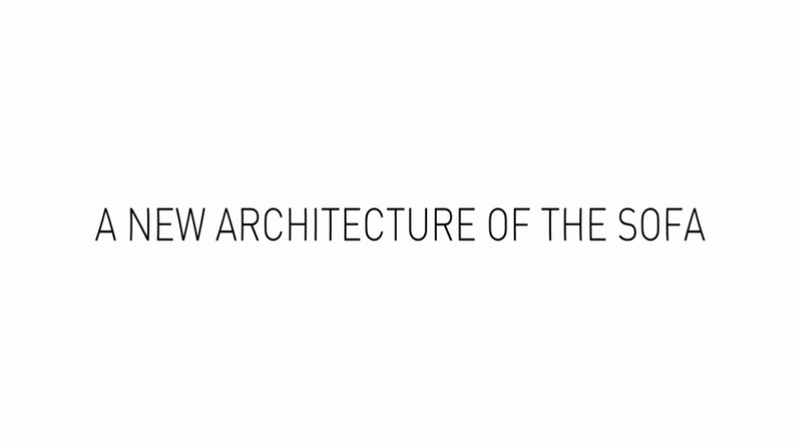 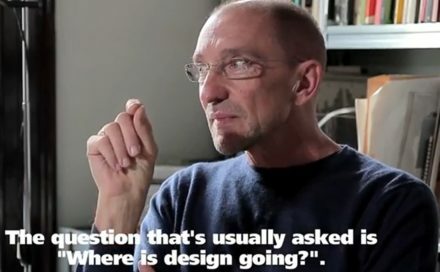 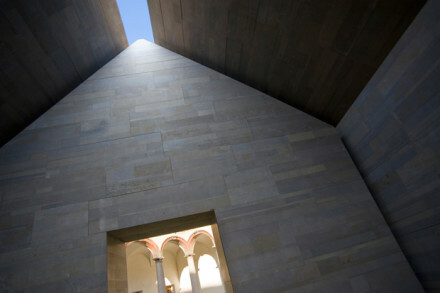 To better narrate the versatility and modular flexibility of the White seating system, designed by Rodolfo Dordoni and presented at the Salone del Mobile furniture show in Milan, a 10-minute video tutorial was created to demonstrate the features and construction specifics of White and White Sofà. 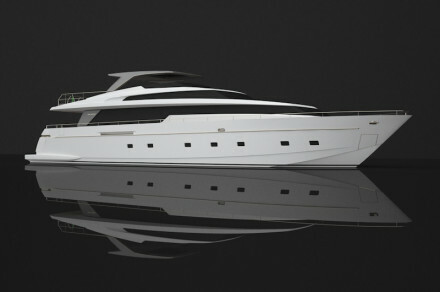 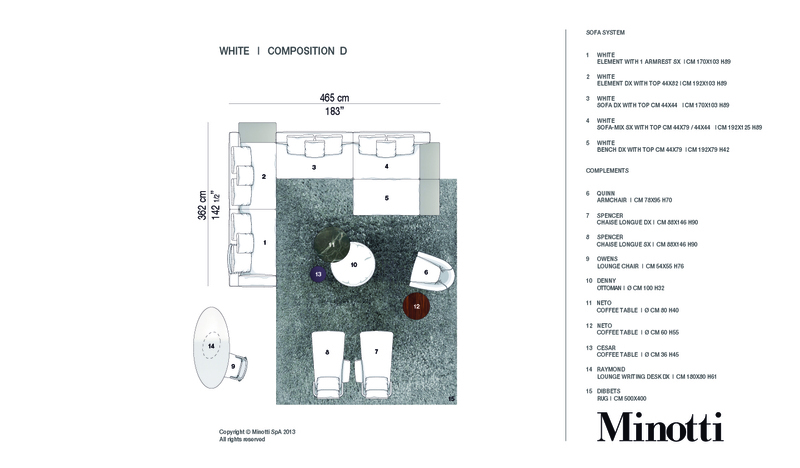 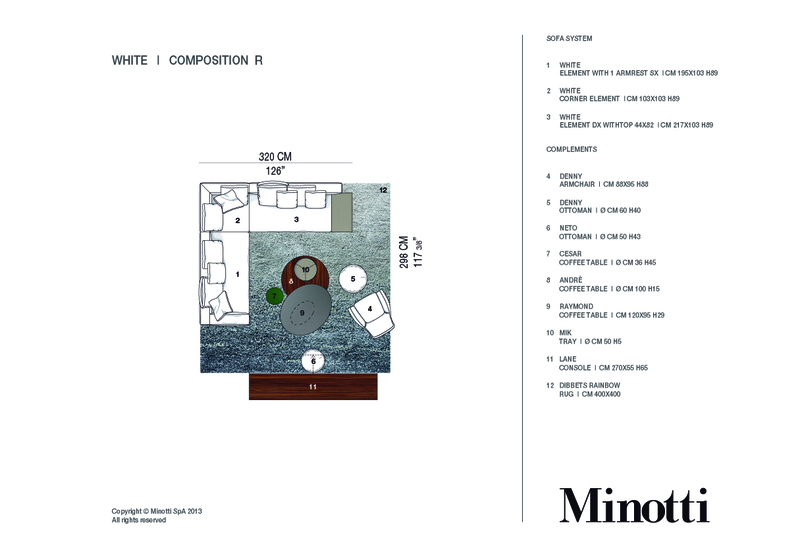 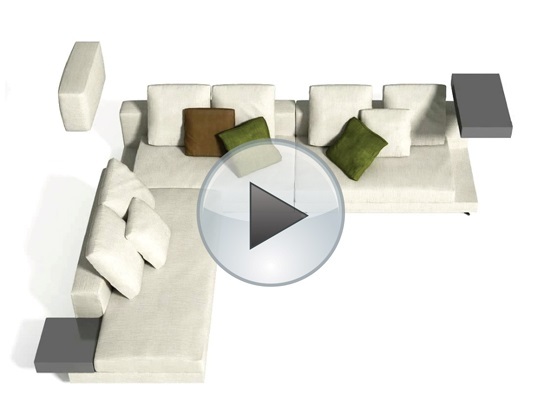 The video, made with 3D animation, uses clear visual language that is easily understood to explain the construction details distinctive to the White and White Sofà models, demonstrating the different compositions that can be achieved with the same elements, how to create various corner compositions, and ways to utilize the interchangeable arm rest and tray top elements. 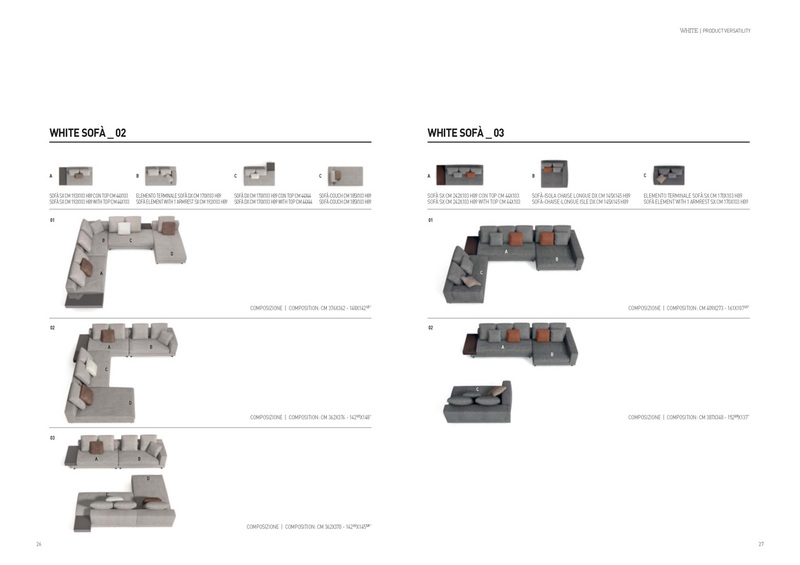 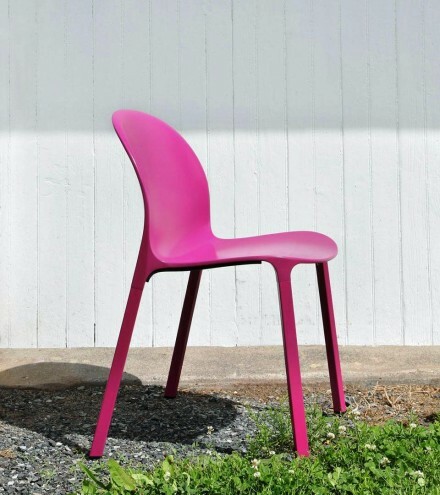 Major emphasis is placed on the variety of combinations of materials that can be made by mixing saddle hide in four colors for the base and for the tray tops; the latter are also available in Granite and Sand glossy lacquer finish. 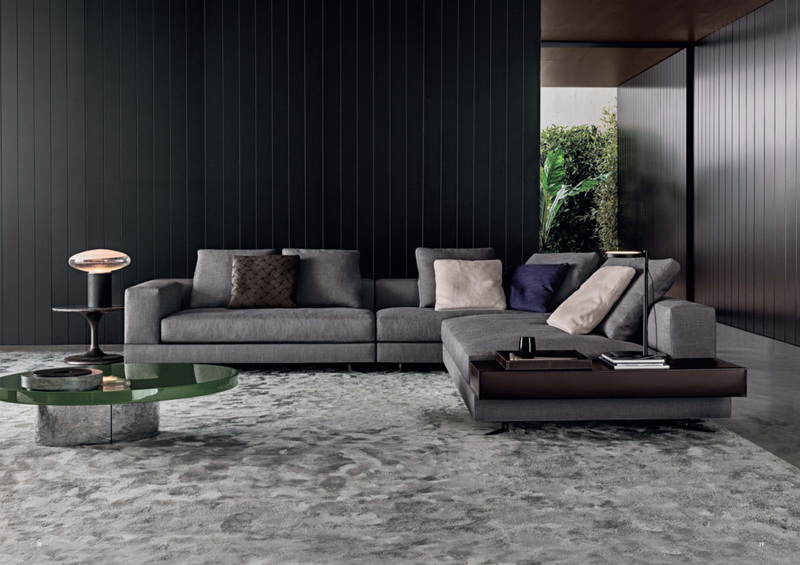 The unique features of the White sofa reveal unmistakable evidence of their DNA in timeless Minotti-style elegance while establishing a highly innovative design concept. 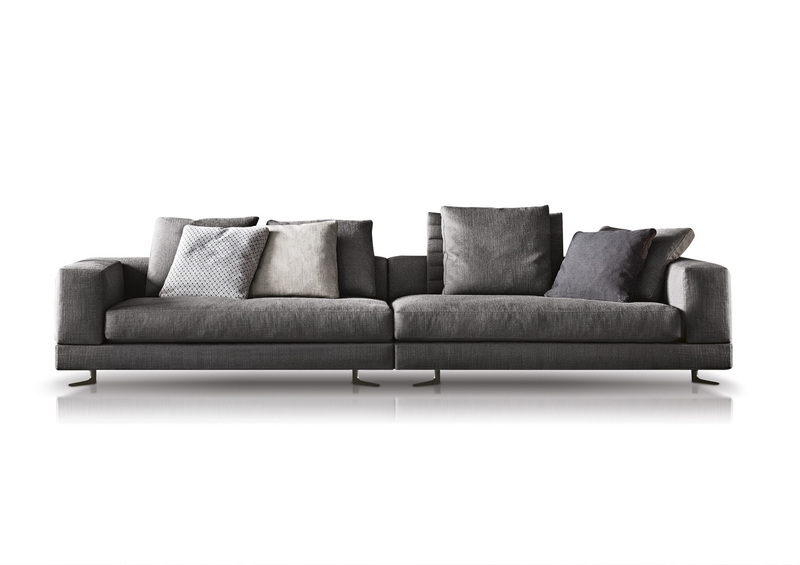 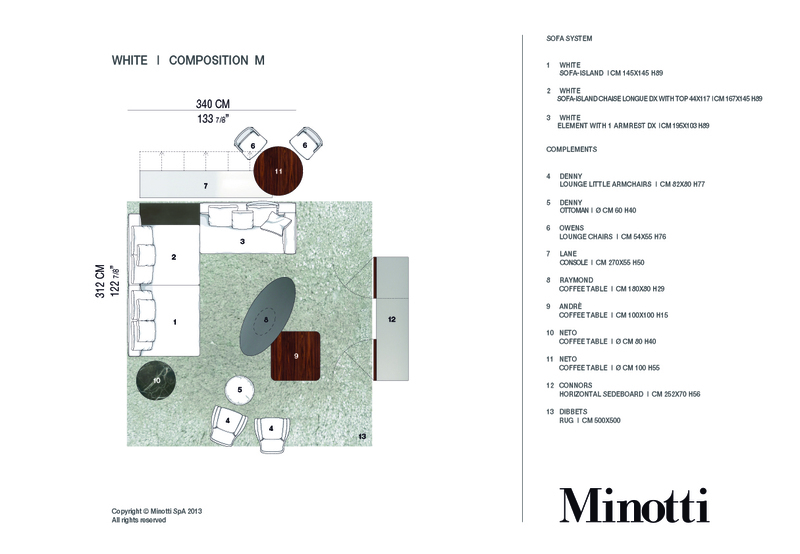 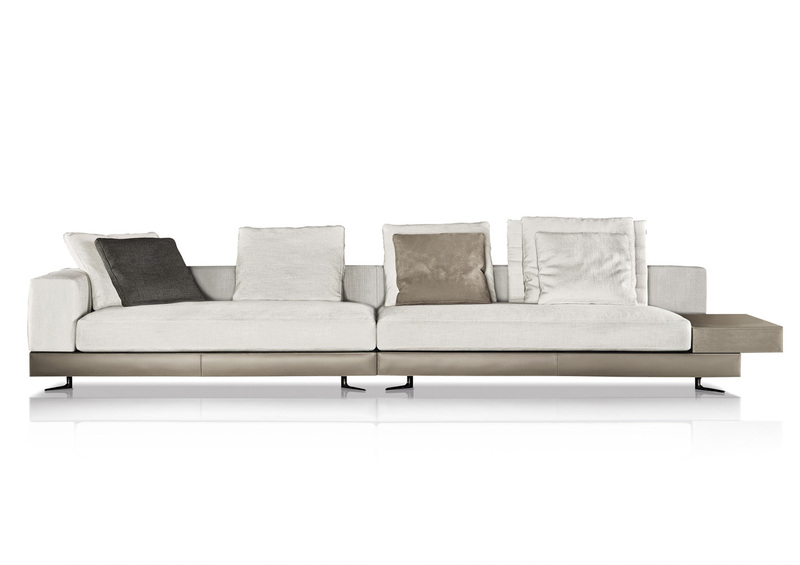 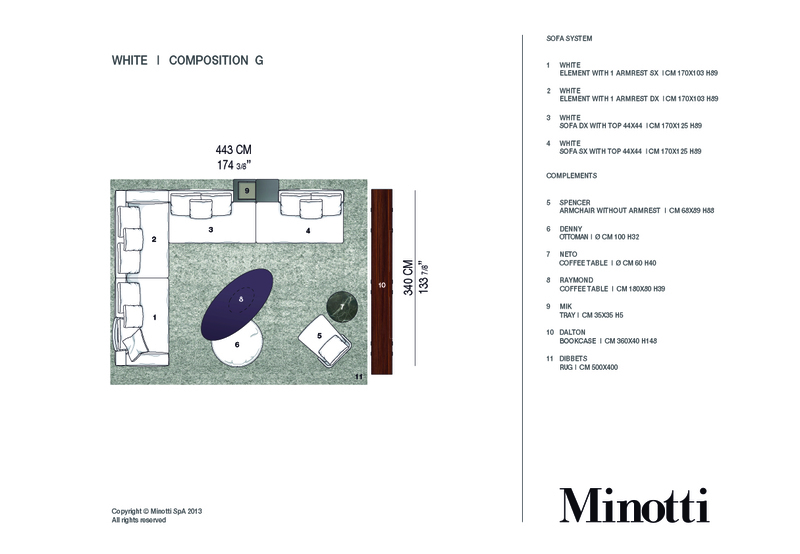 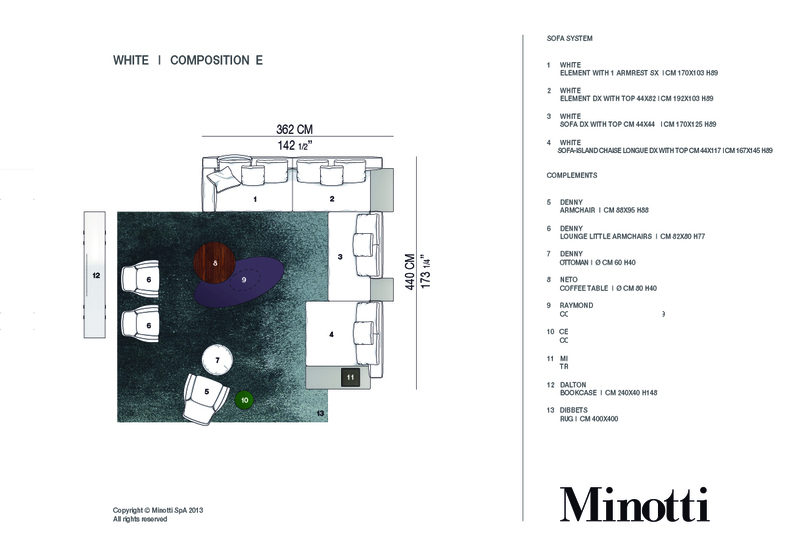 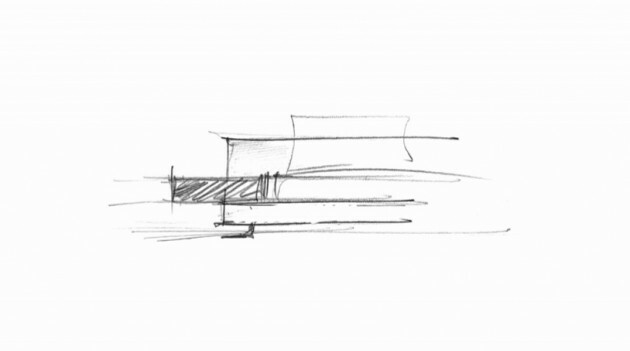 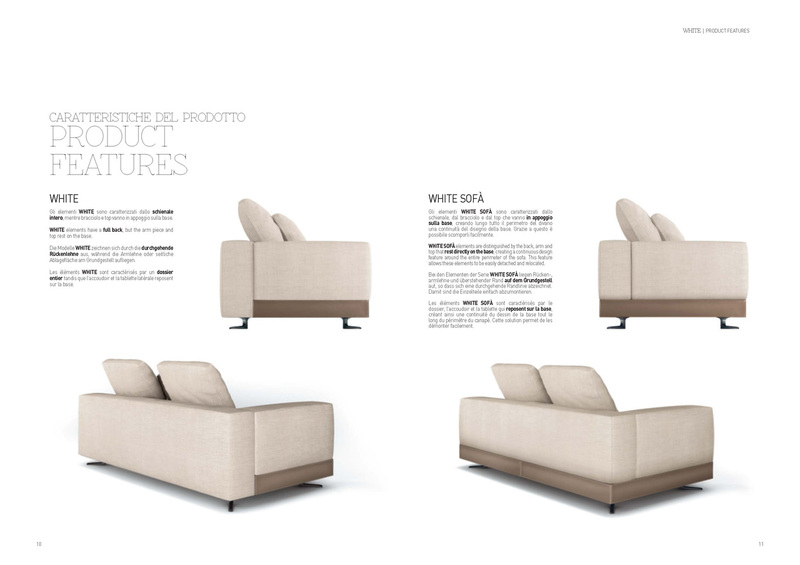 The structure and proportions of White reecho an explicitly architectural concept of the sofa, which appears to have been constructed of perfectly balanced horizontal shapes. 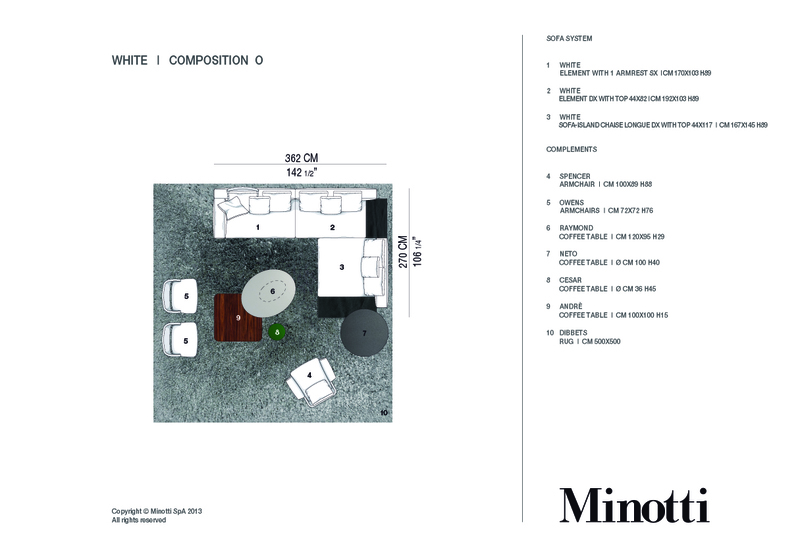 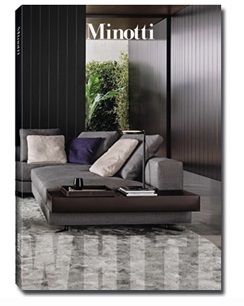 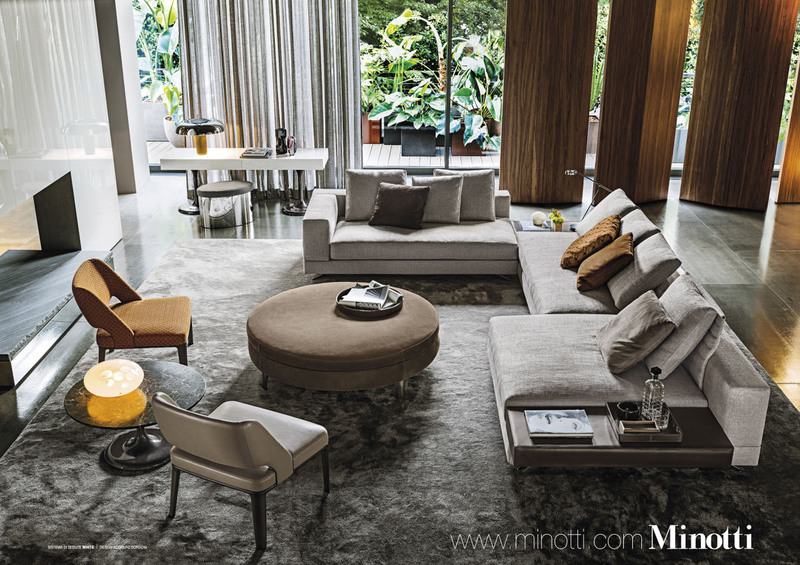 White, the new seating system designed by Rodolfo Dordoni and presented at the Salone del Mobile furniture show in Milan last April, has been cast in the leading role for the new Minotti ad campaign. 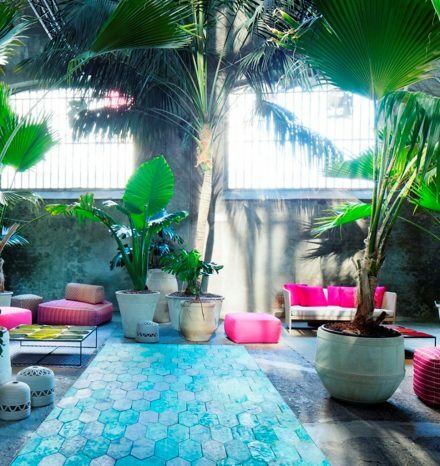 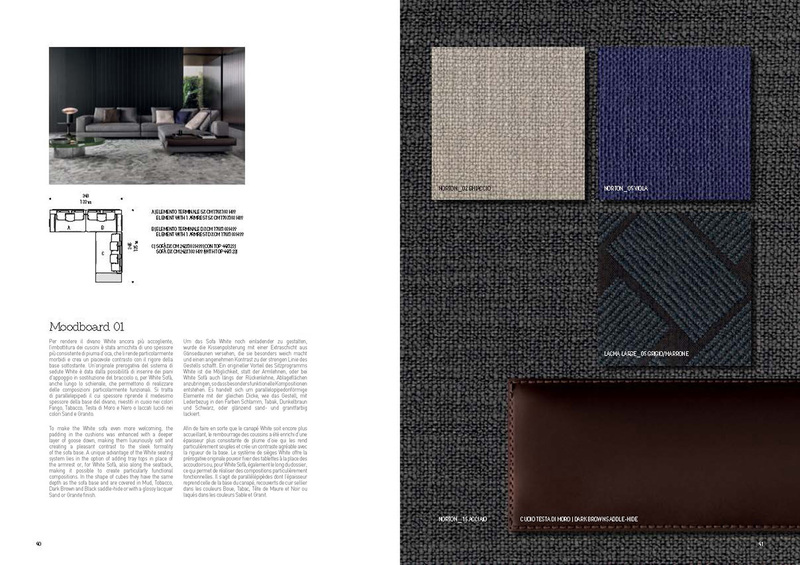 Images for the new print ad campaign were shot in warm, alluring settings that evoke an intimate and sophisticated ambiance, perfectly in keeping with the of style of the previous campaign and crafted to further strengthen brand recognition. 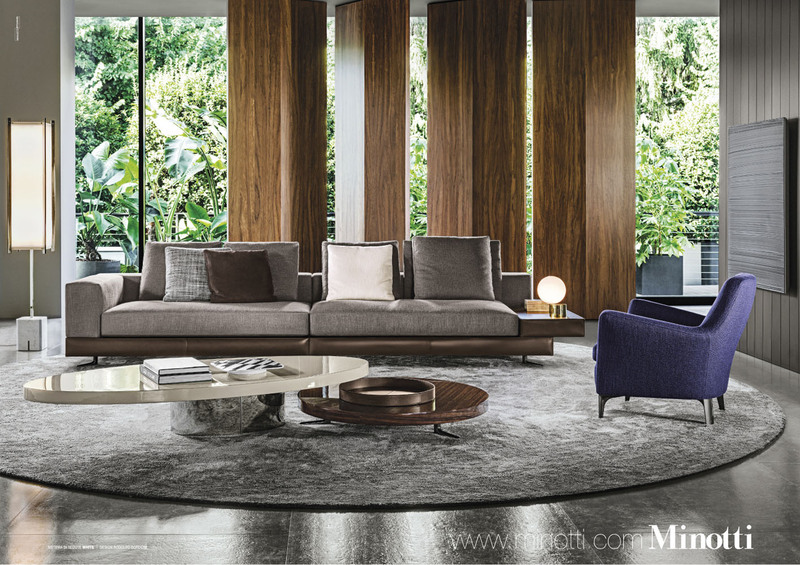 Theatrically elegant wood stage wings form the background for compositions that highlight White’s versatility. 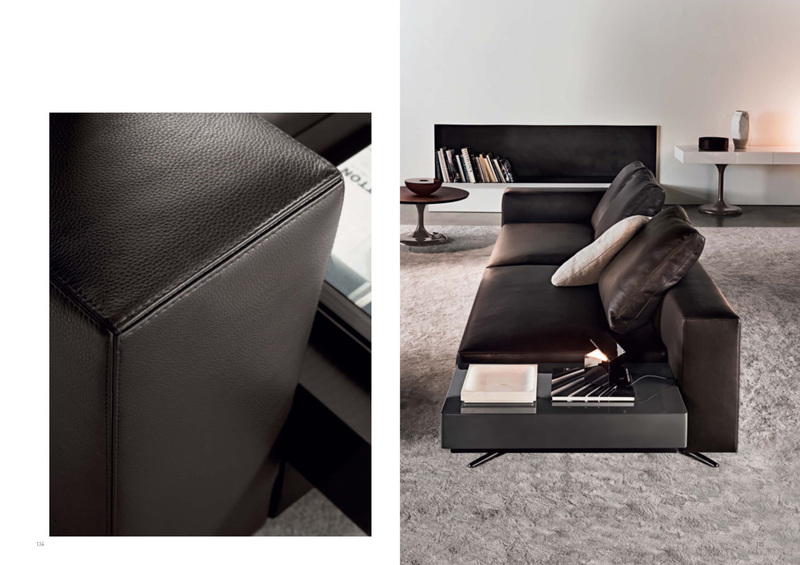 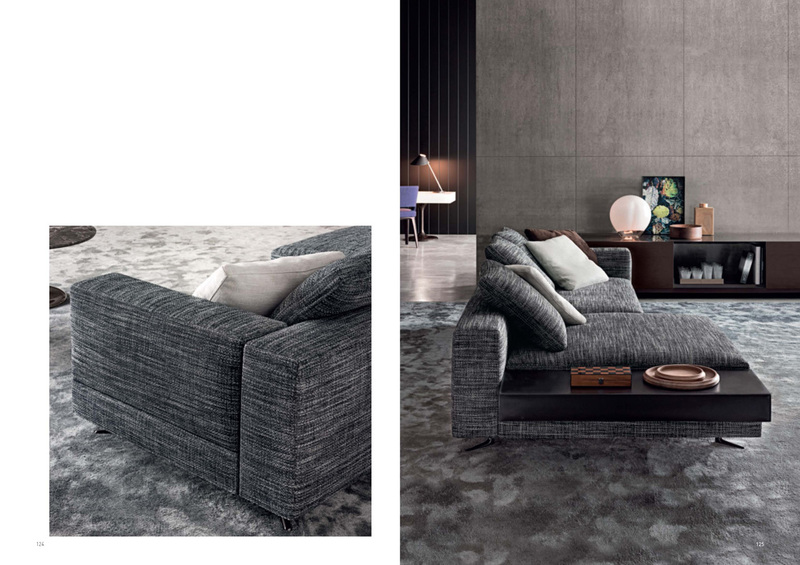 For our marketing campaign we selected three compositions: a corner configuration where the base of the sofa is covered with fabric, a linear sofa with saddle hide base and a linear composition with lounge seat and saddle hide base. 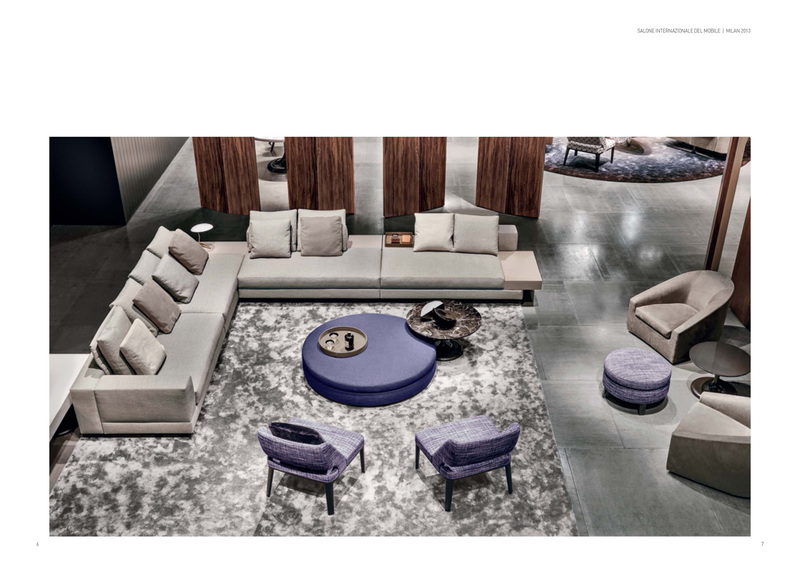 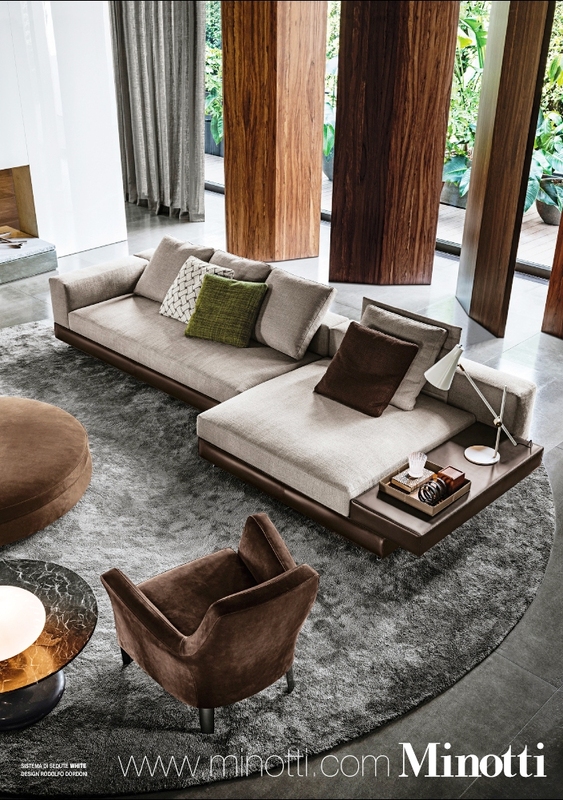 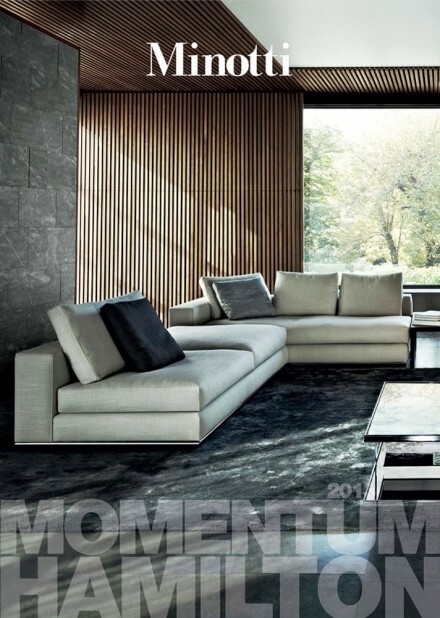 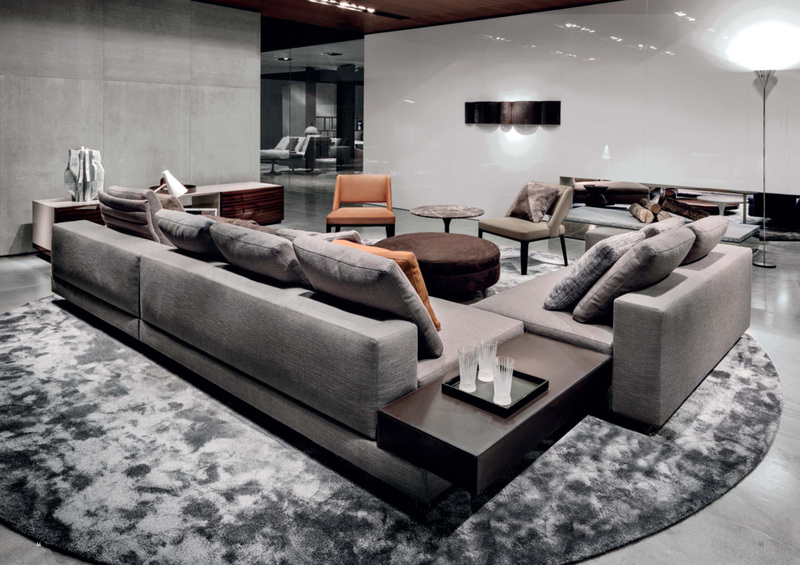 The settings are complemented by many other products from the Minotti2013 collection, like the Denny and Owens armchairs and the Raymond and Andrè coffee tables. 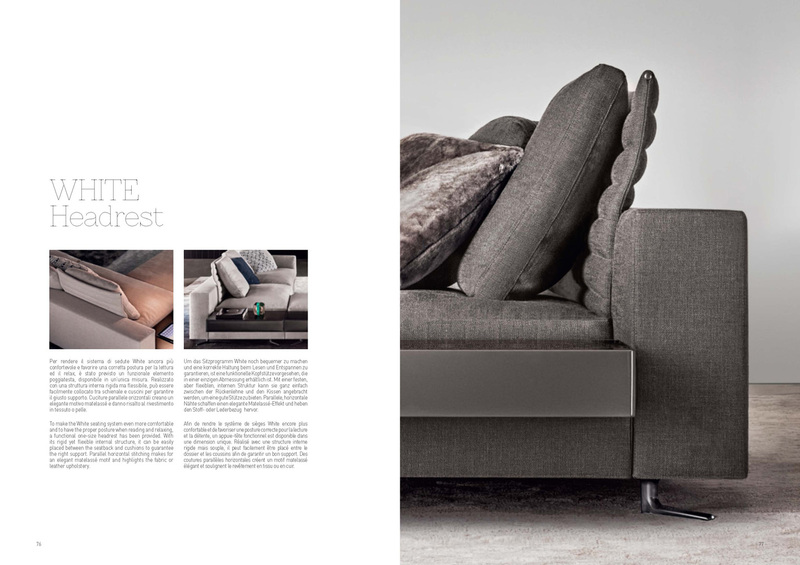 I feel with regards to home furniture, you certainly get precisely what you pay for. 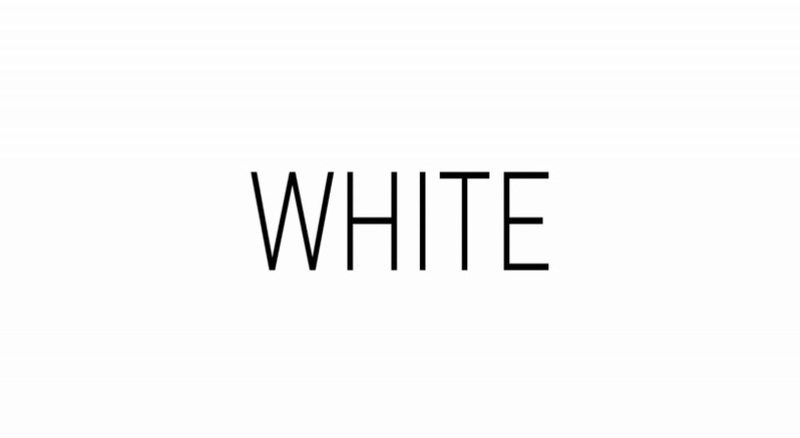 I’d instead spend a little bit more to make sure that I will be receiving good quality items that will last.